We are in Catalonia, north-eastern Spain. More specifically, in a small and hilly wine region called Priorat. For sure we can find many wonderful things here, but deep full-bodied red wines are the most remarkable of all. The soil in Priorat is one of a kind: the nutrient-poor Llicorella. Its origin is volcanic and consists in black and red slate with tiny particles of mica; small crystal-like minerals which reflect the sunlight back to the vineyard plus retain the heat during the day to release it during the night. Together with a thick topsoil of 50 cm, which force the vines to dig deep for water and minerals. All this combined with cool nights and warm days plus super low yields (an average of 5hl/ha) results in a highly concentrated powerful wines that have earned the respect of wine lovers all over the world. 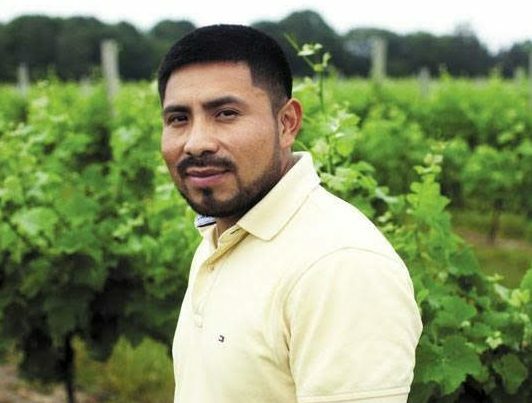 Here, the small Nebot-Vila family, known locally as hard workers that truly respect the land, is making wonderful wines in their 11 hectares vineyard. They spend long hours working together, side by side sharing a common approach to winemaking: produce authentic and genuine wines that reflect this harsh but singular area. 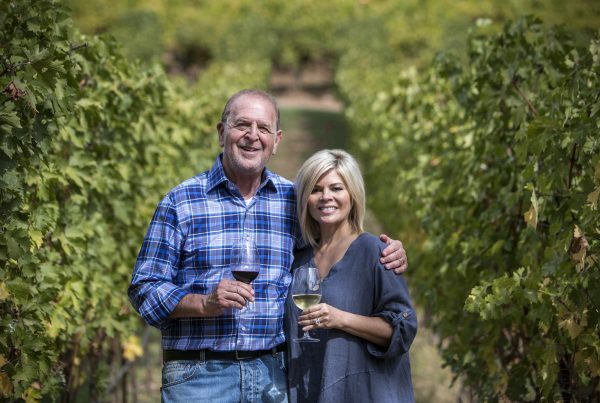 I could not wait any longer to know the details about how this family ended up making wine and to learn more about their products. I had the opportunity to talk to the founder and manager of this interesting project, Josep Ramon Nebot. So let’s find out more about them through this Q&A! Amaia: When and why did your family start this project? Josep Ramon Nebot: The project started in a naïve and somewhat strange way. I just turned 40 when my wife asked me if I wanted to make wine. At that time it seemed like a crazy proposal. Of course, it was a pretty idea but quite impossible for us since we did not have any winemaking experience or a family member who had it, let alone a place to produce wine. Can you imagine? Anyhow, it was in June of 1996 when we decided to make that dream a reality and we could never imagine the immense challenge we were taking. Amaia: What’s the story behind the name “Terres de Vidalba”? Josep Ramon Nebot: Vidalba is a white flower that has been used traditionally as a remedy to treat neuralgia and pain of rheumatic origin. It is a climbing plant that can get entangled in other neighboring ones. The stems and tender leaves can irritate the skin. For that reason, Vidalba is also known as beggary grass. In former times beggars rubbed their wounds and skin with this plant to create pitty and obtain more alms. Being a rather “unloved”flower it is also remarkably beautiful and can be found in abundance in this area so we decided to name our project after it; Terres de Vidalba means “Land of Vidalba (flowers)”. Josep Ramon Nebot: Our winery is located in the town of Poboleda. It is a municipality located in the north-east of the most historic area of Priorat, in the valley of Siurana river at the feet of the Montsant. Our vineyard is located on slopes within a hill with east-southeast exposure at about an altitude of between 430 and 480 meters which provides us with some interesting day/night temperature variability helping our grapes to mature at the optimal slow rate and reach a good level of acidity for producing concentrated wines. Its more than 50 meters of height difference between the highest and the lowest part of the slope. This means it can be divided into different small plots with multiple microclimates. 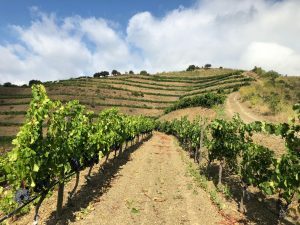 Amaia: Why is licorella considered such a special soil? 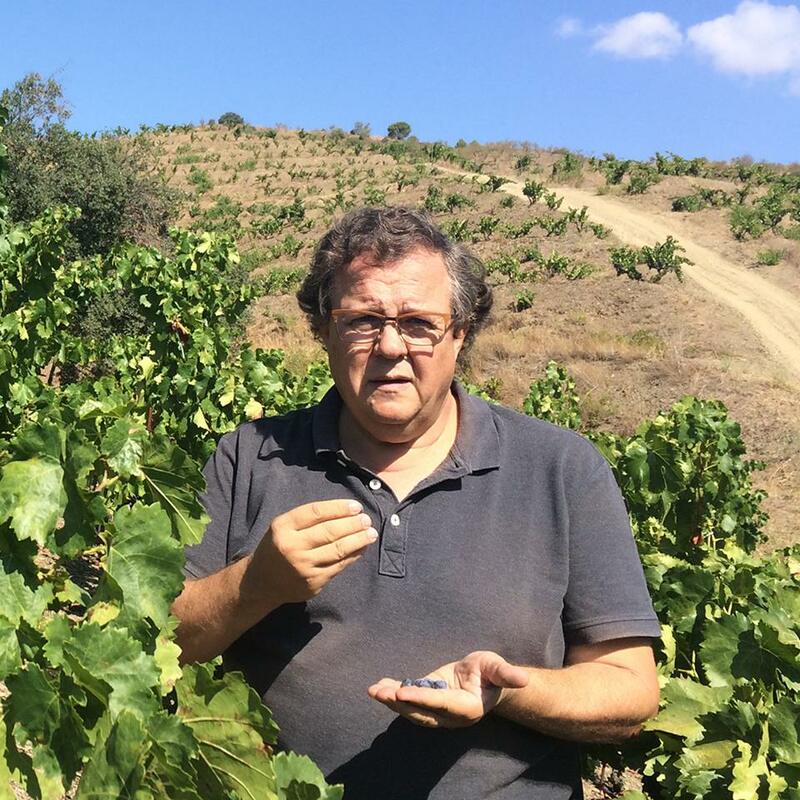 Josep Ramon Nebot: The Priorat is an area full of small hills formed by slate materials from the Paleozoic era. The disintegration of these brittle dark copper color slates is called Llicorella. It is a soil with a low content of organic matter and of a shallow depth, so hard bed rock is certainly very near to the topsoil. Due to that, the roots of the vines have to go through these slate sheets to find moisture, nutrients and water. It hardly ever rains here, so together with the effort by the vines to survive leads to grapes of significant concentration of components. At the same time complemented with characteristic mineral notes that seems to be transmitted by the constituents of the soil. 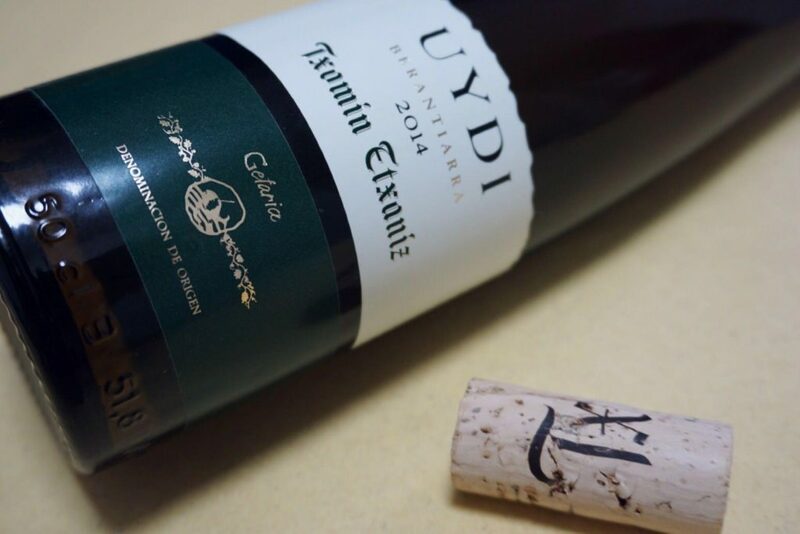 A lot of producers say that it is like the llicorella has dissolved in the sugar of the grapes, blending together to offer these mineral or slate-like notes later in the glass. 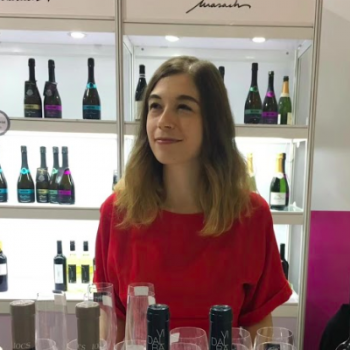 Amaia: Tell me three or four important things about your winemaking process? Josep Ramon Nebot: We harvest the different varieties in small batches and keep them separate throughout the winemaking process. This takes quite a bit of extra work, but it also allows us to understand better the behaviour of each variety year after year. Our white wine is fermented in stainless steel tanks at a controlled temperature of 12º-15ºC for 25-28 days with a soft daily batonage during 3 months. On the other hand, our red wines have an initial ageing in French oak barrels. We use 20% of new casks from wood of different forests along with an small degree of toasting in order to give our wines some more depth and complexity. The time spent in the barrel will depend on the variety, the type of wine we are making and each oak’s needs. The results always carry an element of surprise that make our wines unique. Finally, we bottle our wines without any clarification or filtering in order to allow maximum preservation of their premium characteristics. Amaia: What do you like most about making wine in an area like the Priorat? Josep Ramon Nebot: The Priorat is a very small but welcoming wine region. For us it is like a magical territory where making wine is a real challenge. You can feel this mix of harsh conditions together with the perseverance of the growers working to cultivate the vine on the “stones”. On the other hand, the uncertainty. Each year is different and the growth cycle is variable depending on the weather. So the heart beats quickly the whole year, the body might begin to perspire at some point and the “butterflies” in the stomach are always present. Because our goal is to produce the best wine possible with what each vintage gives us. It is a rewarding challenge! 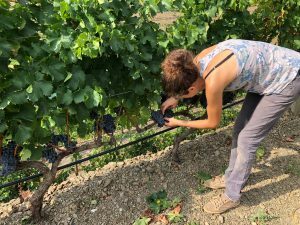 Amaia: What is the most important thing about your winery that people should know? Josep Ramon Nebot: We are a family winery where the wines are made only with the grapes from our vineyard. We have a very limited production and our main goal is to maintain or even improve the quality of our wines year after year. We want our wines to reach those people who really enjoy a glass of a “singular” wine and who can appreciate it. Amaia: What grape varieties do you cultivate and what is your favorite (if any)? Josep Ramon Nebot: When we started this project, the varieties we worked with were Garnacha (Grenache), Syrah, Cabernet Sauvignon and Merlot, which were the most cultivated varieties in the area back then. We are currently growing Garnacha, Syrah, Cariñena (Carignan) and white Garnacha (Grenache blanc). These last two have been grafted into the old varieties we decided to replace. Actually, I do not have a favorite. All the varieties offer different indispensable things. Amaia: How would you explain in a few words the style of your wines? Josep Ramon Nebot:There are wines with their own style and that are capable of transmitting the terroir where they come from. Wines with body, elegance and a good acidity that keeps them very fresh and balance although the alcoholic strength is usually around 14,5%. We believe our wines are quite personal and different. Amaia: Can you give us a brief description of your three main wines and their differences? TOCS: This wine is a more classic Priorat profile. Very elegant with a powerful structure, good intensity and acidity, plenty of tannins, sweet and fleshy. Good aromatic intensity, with plenty of mature black fruits, flowers (like violet), spicy notes and cacao. 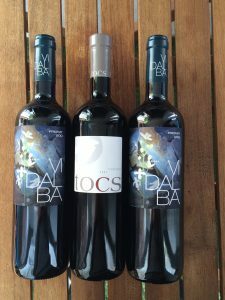 VIDALBA: It is an easier Priorat, ideal for pairing. Good entrance and tasty. Long aftertaste, full of ripe berries notes, plum and fig with earthy, mineral, cinnamon and spicy notes. El NO T’HO DIRÉ: Since 2016, we are also producing a white wine. It is a varietal wine made by white Garnacha. A wine with great complexity and fresh citrus fruits aromas such as lemon and green apple, white flower hints. Tasty and fresh on the palate with a mineral finish, slightly bitter. Persistent finish. Amaia: And some pairing advice? TOCS: Meat stews, game meat, grilled meat. VIDALBA: White meats, grilled lamb, rice dishes, with mushrooms or vegetables too. NO T’HO DIRÉ: Fish, white meat or cheese. That being said, we believe that the best pairing comes from each person as they are quite versatile wines. Besides, they can also be enjoyed without any food, that’s the idea. Amaia: Where can we find your wines around the world? Josep Ramon Nebot: Currently you can find them in Canada, China, Japan, Sweden, Denmark, Germany, Switzerland, Guatemala and, of course, here in Spain. Being a limited production winery, our wines are usually sold in small specialized shops. Amaia: What has been the greatest challenge for you as a producer? Josep Ramon Nebot: Start from scratch trying to get the best possible grapes even in the earliest years of the of vines’ life. Amaia: And what kind of challenges do you think you will find in the future? Josep Ramon Nebot: The profile of wines sought by consumers is changing and it is difficult to identify these changes with enough time. 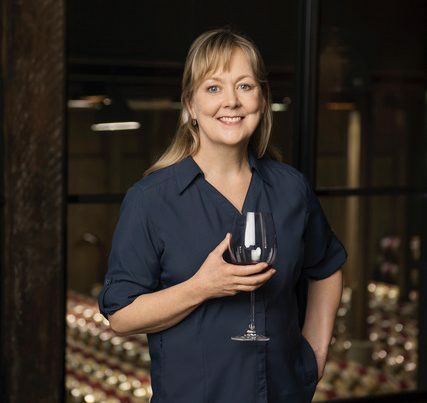 Besides trying to take into account the changing tastes or at least acknowledge them, one of our main challenges now or in the future is to always represent the region through our wines. We don’t want to do generic products, we want to make wines that evoke the area where the grapes have grown. Our idea is that when you are drinking a glass of our wines you’ll be transported to the heart of Priorat region. 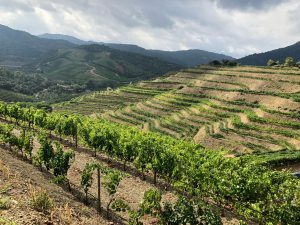 Everyone should visit the Priorat to understand what the Priorat really means!